Our goal is to collect 100 backpacks, and we're hoping you can help fill them! TYLER — This school year CBS19 and the Salvation Army are teaming up to make sure no child goes without school supplies. We cannot do it alone, so we’re asking for your help! 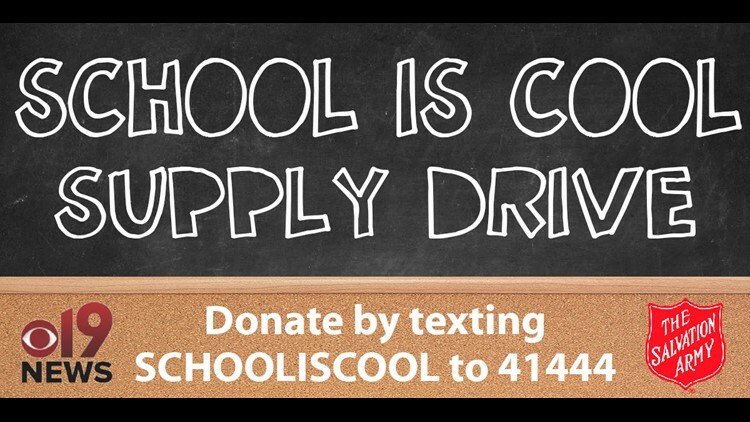 Donating is easy, just text “SCHOOLISCOOL” TO 41444. Or we could really use your help collecting 100 backpacks and supplies to put in them. They can be dropped off anytime at the Salvation Army in Tyler, located at 633 North Broadway Avenue. 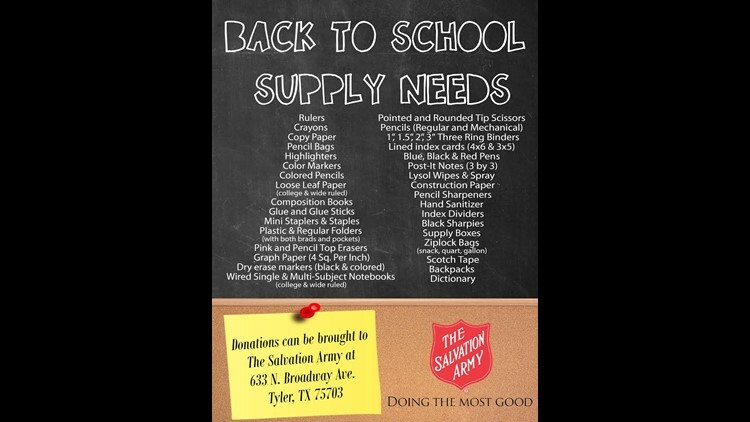 Supplies and backpacks can be dropped off at any time.